STOCKHOLM (Reuters) - IKEA Group said on Wednesday large investments in improving its online offering, delivery services and in opening new smaller city centre stores to meet changing shopping habits pulled its full-year profits down 26 percent. The world's biggest furniture retailer is known for its vast self-service out-of-town stores but is transforming its business model in the face of mounting competition, increasing urbanisation, and more demanding consumers who'd rather order furniture online to their door then trekking to the city limits. IKEA is also developing faster and cheaper delivery services and assembly services as shoppers become less keen on DIY. Its new city centre formats include a dedicated kitchen showroom in Stockholm, a London store offering personalised planning for home renovations, and one for living room furniture in Madrid. Further planned full-range showroms include one in Paris in 2019, and one in Tokyo in 2020. "There is a fast-moving retail landscape across the globe, and that's why we are now taking these big investments," Chief Financial Officer Juvencio Maeztu told Reuters. 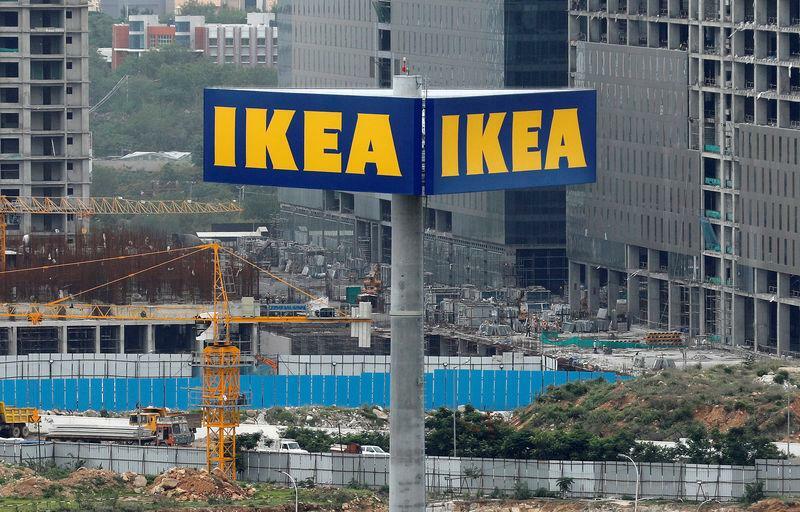 IKEA Group, which owns most IKEA stores world-wide, said it invested 2.8 billion euros in total in stores, distribution networks, shopping centres, renewable energy and forestry in the fiscal year to the end of August. The scale of the investment led to a drop in operating profit to 2.25 billion euros ($2.54 billion), despite nearly 5 percent growth in retail sales. Maeztu said the sales growth was "not bad" considering IKEA had mainly been a brick-and-mortar retailer in the past. He added investments in the current fiscal year would be even higher, and then flatten out in the following year. Profits in the coming couple of years would be roughly unchanged, he predicted, with sales growth compensating for the higher investment levels. IKEA Group in the year saw a nearly 50 percent jump in online sales. Maeztu said 14 new distribution centres to cater for online trade accounted for a large share of the investment, and said another 20 new distribution centres would open this fiscal year. "It's a big effort to really be ready for the whole multi-channel type of business," he said. He said the company had not raised prices to customers to compensate for the higher costs, and had no plans to do so. IKEA is facing competition from many sides. Online furniture stores such as Germany's Home24 and Wayfair in the United States are expanding, while general retailers ranging from online marketplaces such as Amazon to traditional department stores are branching out into home furnishing.